We at RENEW ME® believe that by regularly using the RENEW ME® 3 Step Philosophy Program you will achieve miraculous results with your “youthing” activities. And I do mean “miraculous”. It is just not enough to use a skincare range without other activites around that. Of course, if you are using a product that nourishes and hydrates the skin, that is great, however you need to do so much more to keep ahead the aging process. The same applies when using facial exercises or other technology without combining all 3 activities. This is why we have introduced the FACEROBICS® and the RENEW ME® Laser Lift to the RENEW ME® Natural Skin Care program. We believe that by using all the tools available that you will have a better chance of slowing down your skin from aging faster. If you are like me, you want to look and feel your best. 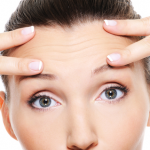 The ONLY way to achieve surgical or botox like results naturally, is by this program. I will defy anyone who states the contary! I have researched, trialled products and made many errors. However, from my personal research I have found this is the only one program that works more effectively than any other product offerings on the market right now. Once you start, you will see that it works! People will literally be asking you what you are doing and how fabulous you look! Like everything else though, to achieve your goals, you have to work at them. This is the same. If you stop any one of the steps, the effect will still be there, however, it will take much longer. You have to put the time and effort in to achieve lasting results and you have a wonderful opportunity to trial this for yourself. RENEW ME® FACEROBICS® firms and tones your muscles, which is different from your skin. The muscles are attached to the skin and as they firm the skin smooths out over the muscles and tightens the skin. Initially exercising every day for 4-6 weeks, then every other day. RENEW ME® Laser Lift will literally feed your new forming cells with life giving light. As they move up through the layers of the skin they are much stronger and healthier. When they reach the top, they burst through. The microcurrent will exfoaliate dry dead cells off the top layer which constantly leaves new cells on top leaving a youthful healty glow that has been lost over the years. You will initially use this every day for the first 4 weeks, then every other day COMBINING with your Step 1 routine. One day exercising, the alternate day using the RENEW ME®Laser Lift. Read about our Independent Clinical Efficacy Trials here. RENEW ME® Natural Skin Care used twice daily will nourish and hydrate your skin. Skin care is needed to protect your skin from pollutants and daily living that cause oxidisation of the cells. This is what causes among other things premature aging. By doing your facial exercises on and when using your RENEW ME® Laser Lift you combining the RENEW ME® Hydrating Serum as part of the routine you will see the results you have been looking for.